Whether you want to concealed carry a firearm or just have one available to you at home – this course is for you. Students enjoy this hands on, quick-moving course because it emphasizes safe gun-handling while developing the necessary skills to keep, carry, and control a handgun and be victorious in a personal defense situation. 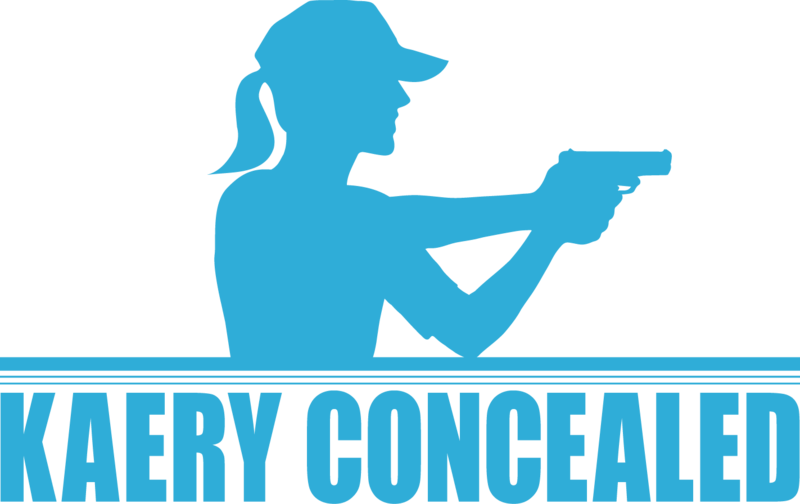 Through the use of innovative training, state-of-the-art methods, and professional firearm instruction, Kaery Concealed offers the most relevant and dynamic reality-based training for personal and home defense. Her 1st Shots is a course designed for ladies with minimal or no formal handgun training who want the most effective knowledge and skills to confidently and proficiently defend themselves and those they love. This one-of-a-kind, non-live fire course utilizes state-of-the-art SIRT training pistols. SIRT Technology is used by US Special Forces and countless law enforcement agencies because of its nearly identical representation to the actual handguns used in the field. In the 1st Shots setting, SIRT Technology allows us train for a concealed carry lifestyle in real time and in real space without the loud, often intimidating, environment of a live-fire range. ​Students enjoy this hands on, quick-moving course because it emphasizes safe gun-handling while developing the necessary skills to keep, carry, and control a handgun and be victorious in a personal defense situation. Near the end of the training, students handle and evaluate a minimum of 10 different pistols that are ideal for concealed carry. We prepare students with definitive criteria and precise evaluation methods to assist them in selecting THEIR ideal concealed carry pistol. Throughout the course, students learn to draw pistols from several different holsters and learn to conceal with several different methods of carry. As a result, by the end of the course, the majority of our students have determined not only their preferred carry pistol, but also their preferred carry method and holster. ​Sign up today for this vital course and prepare to develop a defensive mindset and practical defensive marksmanship while building the foundation for essential muscle memory. AS YOU PROBABLY ALREADY KNOW, SELECTING A PERSONAL FIREARM CAN BE OVERWHELMING AND INTIMIDATING, SO DON’T ALLOW YOUR FIREARM PURCHASE TO BE BASED ON SOMEONE ELSE’S CHOICE. LET US SHOW YOU HOW TO SELECT A FIREARM THAT WILL BEST MEET YOUR NEEDS.